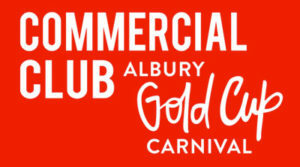 Albury Gold Cup Packages – Albury Racing Club – Country Racing at its Best! Marquee Packages are a great way to enjoy the day and there are always a number of options available. Contact the Albury Racing Club for further details. Providing a relaxed entertainment area adjacent to the main betting ring for small groups of 20-30 people. * Based on a minimum of 20 people. Maximum 30 people per pagoda. You can join the party in a shared marquee and courtyard, track side at the 400m mark, along with live entertainment. *Individual tickets available. Groups of 20 or more will be provided with an individual marquee. Located Trackside, you can enjoy the day in your own private marquee with a shared bar. Catering packages can be arranged. Limited spaces are available on Horse Stalls Lawn.